Remove tough contamination with ease from metal surfaces! The DI Accessories Steel Wool will help you remove years of dirt and grime, restoring your metal surfaces to a like-new condition! Using a metal polish alone may not be enough to clean tough dirt, grime, carbon buildup and other contamination from your metal surfaces. 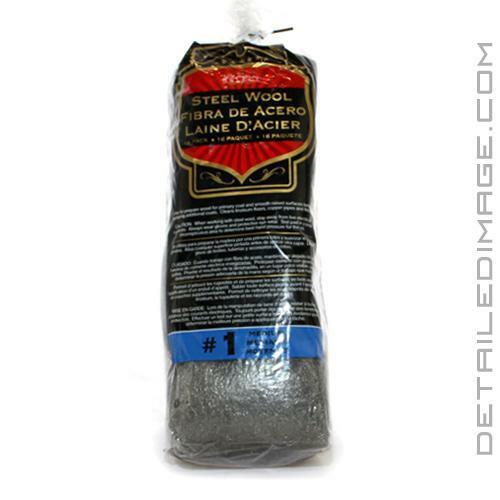 This steel wool is specifically designed for car detailing and provides you with that added cleaning power to help restore tarnished metal surfaces like exhaust tips, rims, exhaust tips and more. The 000 and 0000 grades are most popular and safe options for car metals, while the 00, 0, 1, and 3 grades can tackle some engine bays, boats, vehicle restorations, and household cleaning situations. 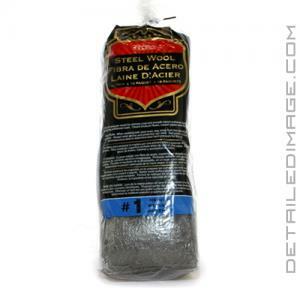 Pair the DI Accessories Steel Wool with your favorite metal polish and bring your metal surfaces back to life! Grade 3: Great for removing old paint, cleaning heavy machinery and rough metals. Grade 1: Smooth raised surfaces, clean copper pipes, fittings. Grade 0: Clean wheels, tile, pots, pans, grout. Grade 00: Restore aluminum, clean brass. Grade 000: Clean and polish stainless steel, remove rust from chrome, smooth finishes between coats. This step is desgined for heavy duty polishing, so a second follow up step is required to remove micro-fine scratches. Grade 0000: Smooth shellac, lacquer and varnish before top coat, matte finish on gloss paint. Cleans engines, heavy machinery, rough metals and stove surfaces. Perfect for removing old paint, shellac, lacquer and varnish. Use to prepare wood for primary coat and smooth raised surfaces before applying additional coats. Cleans linoleum floors, copper pipes and fittings. Cleans wheels, tile, grout, porcelain, copper pipes, joints, pans and utensils. Restores aluminum trim to original appearance. Repairs burn marks on wood and leather. Cleans old Brass. Polishes copper. Prepares surfaces before painting. Cleans and polishes stainless steel. Removes rust from chrome. Removes paint spots from wood work. Smooths finishes between coats. Smooths shellac, lacquer and varnish before the final top coat. Buffs furniture wax to a high luster finish. Puts a matte finish on gloss paint. Cleans fine instruments and precision tools.